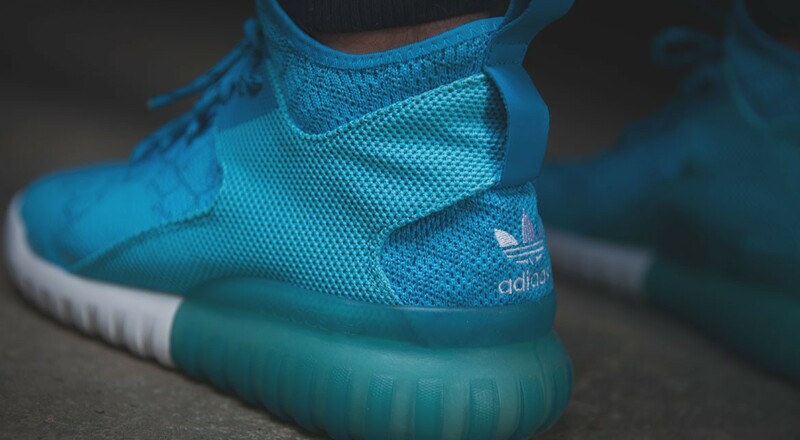 Another colorway has finally launched stateside, with the adidas Tubular X Primeknit ‘Cyan’ just dropping at Finish Line. The shoe has been pretty popular, selling out at other retailers and adidas’ site. The shoe reminds many of the Yeezy 750 Boost, particularly because of the notches on the outsole. 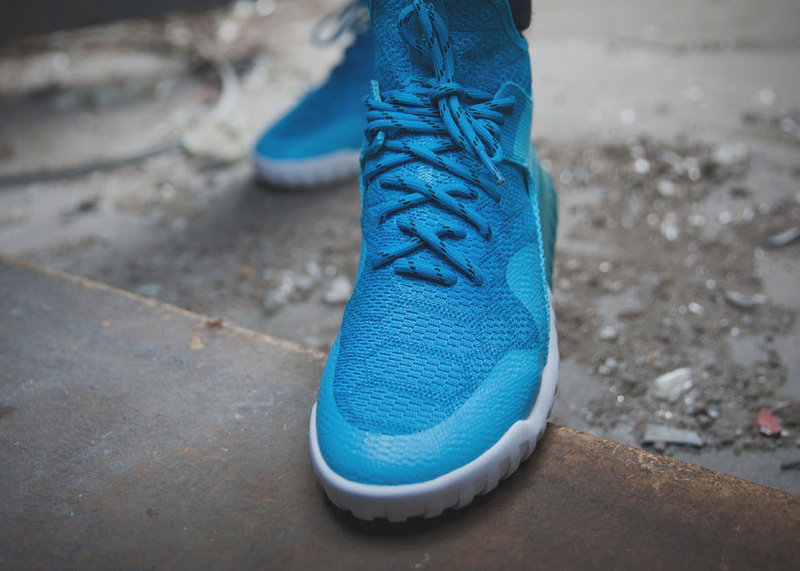 The Primeknit upper is also reminiscent of the Yeezy 350 Boost, which also features that sock-like material. This colorway splits the midsole in two colors, the Bright Cyan (greenish-blue) as well as the white, with the Bold Aqua Blue on the upper. 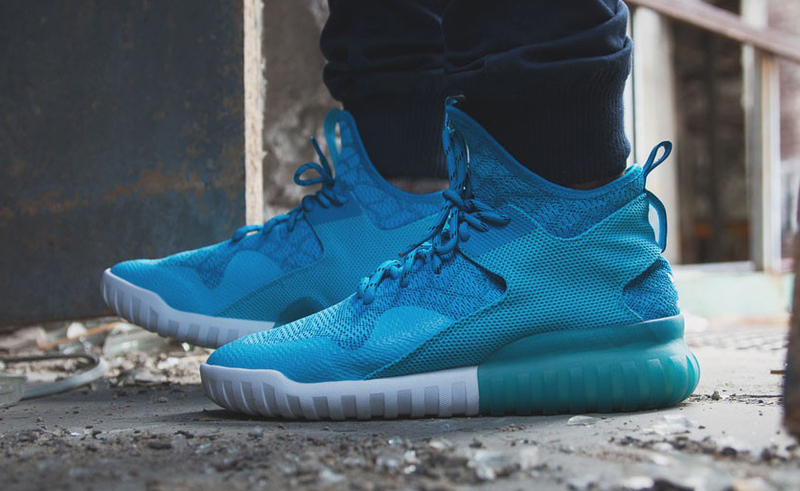 You can pick up the adidas Tubular X Primeknit ‘Cyan’ for $160 HERE (the black colorway is also available.) The colorway is also available at AFEW.